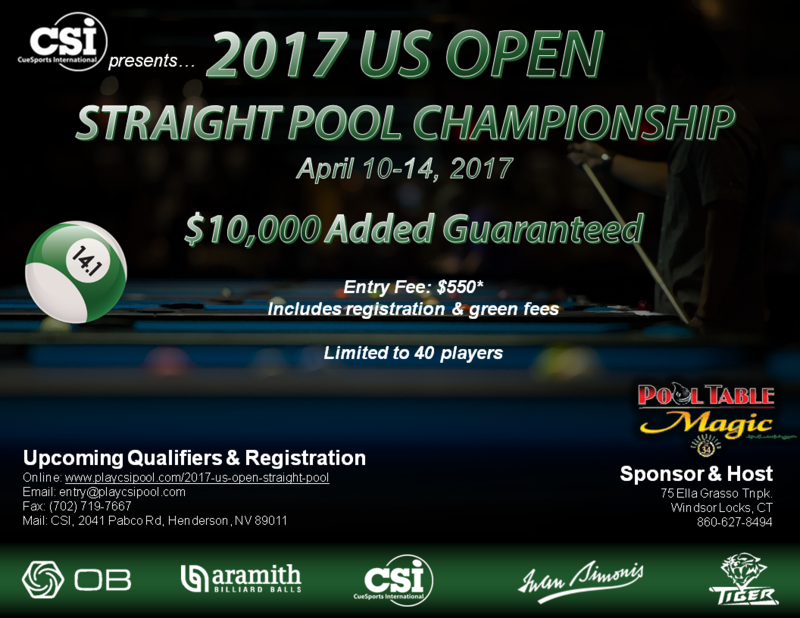 We are proud to bring back the US Open Straight Pool Championship! Once again, it will be at Pool Table Magic in Windsor Locks, CT, April 10-14, 2017. Some spots will be held for invited players until March 15, 2017. After March 15, the remaining spots will be open to anyone and online registration will be available. If you did not register online and are using an entry form, you may submit it here. Simply download and save the appropriate entry form above, complete the information (typed or hand written), upload the file below, and click the SUBMIT ENTRY button.